How does one live consciously? I think it must involve intentionally choosing to identify, create, maintain, and nurture a lifestyle that acknowledges the interdependence and supports the healthy development of the physical, emotional, mental, and spiritual dimensions of who we are as human beings. It emerges from a paradigm of interconnectedness, in which we intentionally strive to learn how these dimensions influence each other and what resources and choices we have to healthy lives that embody a sense of wellbeing. My father was an athlete, who talked about and integrated the power of visualization into his role as an outstanding baseball player and as a teacher/mentor to my son, when he wanted to learn to play baseball. As a teen, I began physically exercising, playing the piano, praying, and writing in a journal almost every day. During my twenties, I discovered contemplation, guided imagery, self-hypnosis, and guided imagery as powerful ways to feel centered. I also learned about what we now know as mindfulness, which I used occasionally in my teaching and in groups I facilitated. When I became a personal injury claims representative for Union Pacific Railroad (UPRR), I started learning ways to support the health and wellbeing not only of injured workers, but also of my colleagues, who felt the stresses and cares of their jobs. Those experiences led to collaborating with an interdisciplinary team striving to deal more effectively with employees who had suffered back injuries. Not only did we encourage interdepartmental communication, but also, we provided learning opportunities based on current research about holistic quality back care. During this time, I studied for and received a postgraduate Master in Human Relations. Grounded in human relations information, skills development, practice, and supervision, this degree provided both a macro strand, which addressed organizational transformation issues, and a micro strand, which focused on individual and interpersonal transformation. I incorporated this learning in my organizational effectiveness work and also became licensed as a professional counselor. Through my shamanic work in Omaha throughout the 1990s, I met and worked with numerous holistic practitioners, who were committed to addressing the issue of health and wellbeing from a collaborative and integrated perspective. As a result, several of us explored the possibility of establishing an Integrated Healthcare Center. Though the physical center we had imagined didn’t come to be, a variety of holistic endeavours eventually emerged. Around that period, people from various health organizations and from the University of Nebraska at Omaha started inviting me to speak about shamanism at their health fairs, organizational conferences, and university classes in religion, counseling, and social work. There seemed to be a hunger for exploring what a holistic approach to health, healing, and wellbeing might include. A consistent thread during the 1980s and 1990s was my training in J.L. Moreno’s philosophy and methods of psychodrama, sociometry and group psychotherapy. Time and experience have only deepened my awareness and understanding of how holistic and powerfully healing these experiential action methods are for individuals, relationships, groups, and ultimately, our society. Finally, about seven years after moving to Scotland, I was asked to work with some University of Edinburgh PhD students in Counselling, who were exploring the relationship between counselling and spirituality. I happily agreed and have been working with the School of Health in Social Science, especially Counselling, Psychotherapy, and Applied Social Science, ever since. That role includes some of the compassion work discussed elsewhere. Growing up for me was an intergenerational experience – with grandparents, aunts, uncles, cousins, and other relatives being part of family gatherings. Though my paternal grandfather died, when I was 4 years old, I do remember sitting on his knee, as he rolled a cigarette. I’ve been told he played the fiddle, but I never heard him. My other grandparents remained in my life well into my adult years, and for that I am grateful. I loved spending time with them. My parents never seemed old, but then, Mom died at age 60 and Dad at age 72 – far too young, in my opinion. Mom died privately in her sleep, and Dad died with family around him – very conscious of what was happening and ready for what would come next. My stepmother Doris thought she’d die young, but after Dad died, she told me she thought she still had a purpose. Thank goodness, because I think part of her purpose was to be there for me! If ever someone aged consciously – always learning from even painful experiences and constantly challenging herself, that was Doris. She died at age 84, one year after her youngest son died on a mountain. Before she died, she said to me, ‘I just want everybody to know I had such a good time.’ I, too, want to live fully with enthusiasm, courage, compassion, and a love of learning – even as parts of my body become less functional, I face more physical limitations, and I grieve the loss of loved ones. 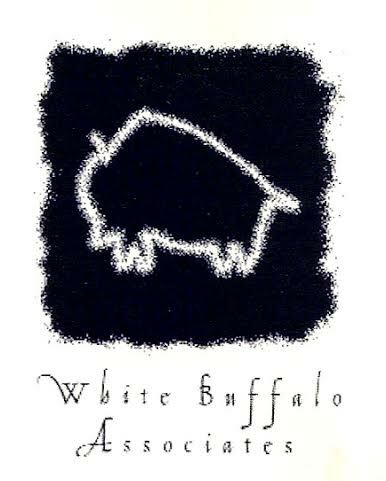 During the late 1990s, when the White Buffalo Singers were active in Omaha, we practiced at a retirement home. Sometimes residents came to our sessions, and occasionally we held special singing events for everyone. Music is such a universal language! Eventually, organizers of the ‘Women and Aging’ Conference at a local university invited us to provide a music workshop for the conference. It went well and was fun. In the last decade, I’ve participated in Jean Houston’s Initiation of the Sage program, enrolled in several online courses within the Elder Spirituality Project on the Spirituality and Practice website, and accessed several elder programs through Sounds True. In late 2013 I learned about the Conscious Aging Program created by the Institute of Noetic Sciences (IONS), and I liked what they had created. As a result, I studied their curriculum and went through the process of becoming a Conscious Aging Facilitator Graduate. The program is holistic and relevant. Conscious Aging sessions can be facilitated individually in 2 or 3-hour workshops or in other combinations of days or weekend retreats. During these sessions, participants have the opportunity to explore unexamined, self-limiting beliefs, stereotypes and assumptions about aging and make better, more conscious choices about their worldview on aging. They reflect on what has given heart and meaning to their lives and how that informs their intentions for the aging process. Finally, each workshop focuses on listening to inner wisdom and guidance, integrating Talking Points and best practices, sharing in intimate conversation circles, and listening to the collective wisdom of the group. They build on a sense of community created within the group throughout their time together. I’ll post planned workshops, but please contact me, if you want something customized for a particular group. Sage-ing International, http://sage-ing.org/ Check their website for annual conferences. The 2018 Conference is scheduled for 25-28 October in Chaska, Minnesota USA.